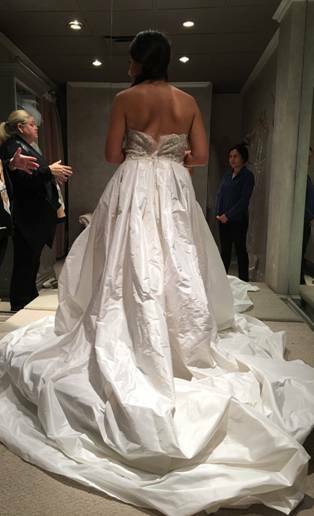 Saturday after Saturday, boutique after boutique… the hunt for the most perfect wedding dress seemed to never end. 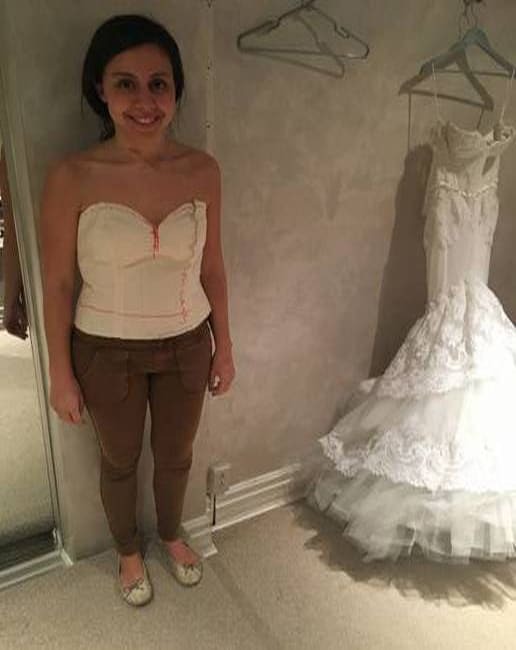 For two months my sister, Amanda, my mom and I visited wedding dress boutiques across Toronto trying to find a special gown that would make my sister look as perfect as a petite bridal cake topper. 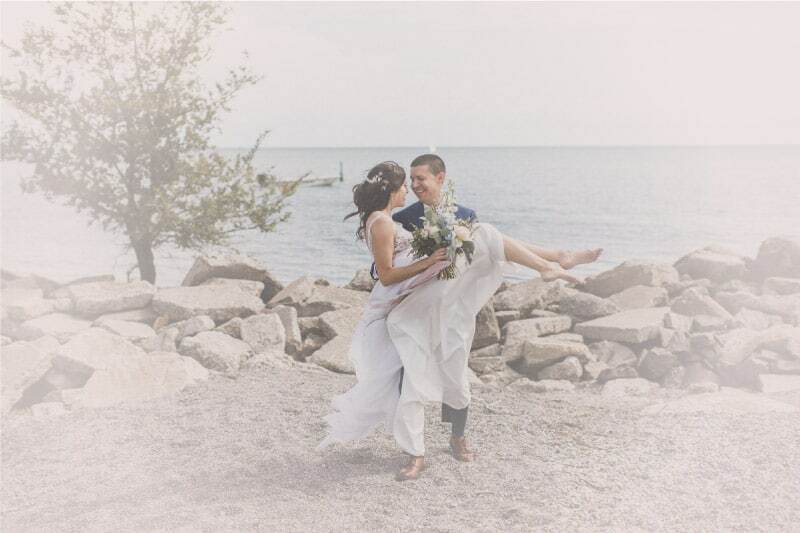 Our trio would pack the essentials, put a new address into the GPS, and be off to try on a fresh selection of gowns, hopeful to find one that would accompany us on the drive back home. 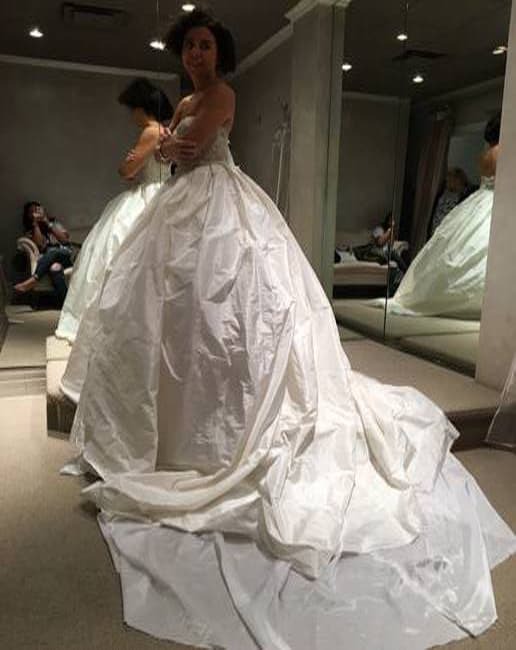 Just as our routine went unchanged, the letdown of not finding the perfect dress followed. None of the countless creampuff shaped dresses seemed to hug her curves the way my sister always hoped. Every wedding-dress-hunting-Saturday concluded over a gloomy lunch, with Amanda and I sitting across from our mother frantically firing off new places to visit the following Saturday. My sister discovered at a young age that she had scoliosis – a curvature of the spine. She’s not limited or suffering in any horrible way, though her body isn’t perfectly symmetrical – not that any human’s is – but her ribcage is not aligned and certain cuts of clothing just don’t fit all that well. 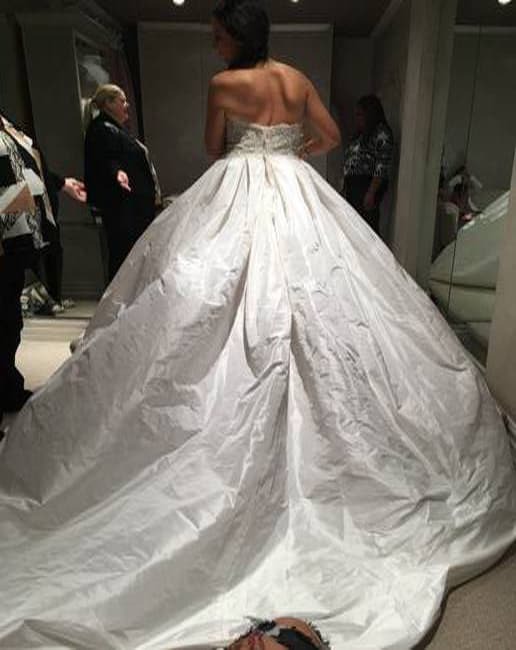 So you can imagine the adventures my mom and I took with her to find that yet another dress wouldn’t give her the comfort and enchanted glow all brides dream of. Whispers of Valencienne had begun to surface in conversations with friends and family about Amanda’s resilient journey. 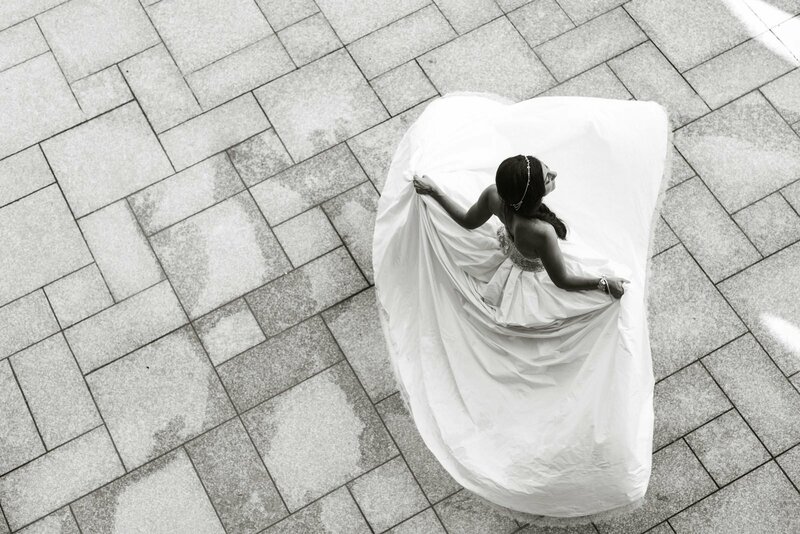 They told of the countless beautiful brides sent floating down the isle in custom dresses once thought to never make it out of a bride’s imagination. We knew we needed some Valencienne magic of our own! We didn’t know exactly what we were looking for when we came to Valencienne, but we did know that some refreshing inspiration was absolutely needed for our little trio. Upon first meeting with Kim she knew exactly what the issue was and how to fix it. She knew which silhouettes would be uncomfortable for Amanda, and which would work flawlessly to flatter the figure of our unique bride. 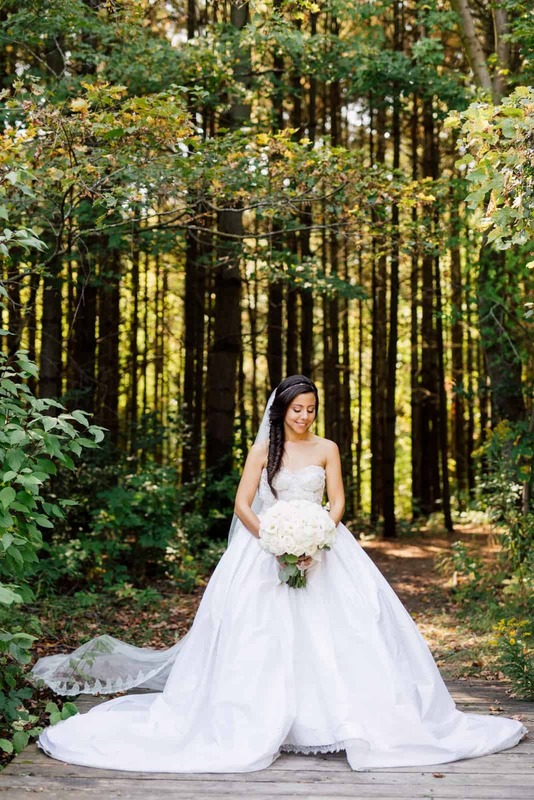 I could tell Amanda was worried at times that a structured bodice topping an enormous ball gown skirt – something she always pictured herself in – may not become her reality. But Kim wouldn’t have it any other way. A ball gown complete with a bodice is what the bride wished for and the Valencienne ladies would be the Fairy Godmothers to grant it! Once we blessed Kim with her coffee from the local Timothy’s, she instantly got to work! Amanda’s first few fittings were very strategic, with intense calculations, abstract Sharpie markings, cuts and recuts of her canvas, pinning and unpinning along where the zipper could possibly go, measuring and re-measuring her asymmetrical bust, but all the while sharing countless chuckles throughout! 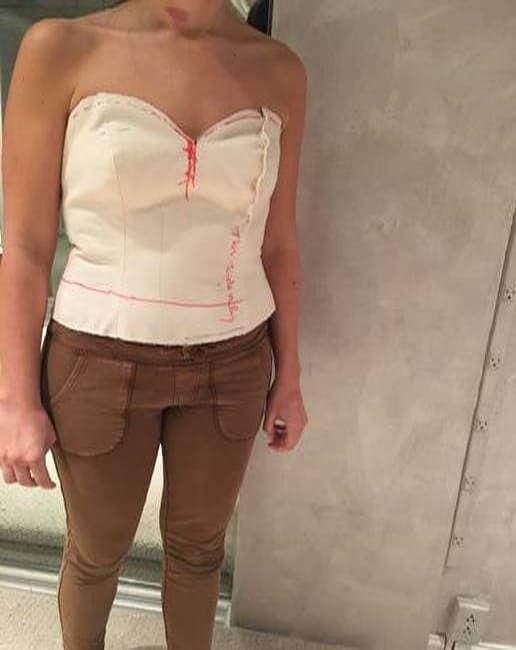 What was needed all along was a custom bodice with uniquely placed boning, carefully cut (and stuffed) breast cups, and a perfectly curated plan for a zipper that would follow the smooth curves of Amanda’s spine, but not made obvious to the human eye! Yup, Kim and her ladies knew their plan of attack as soon as Amanda walked through their door on April 30, 2016 with hopeful bright eyes and a team to support her throughout this exceptional adventure. It’s been over a year in the making. 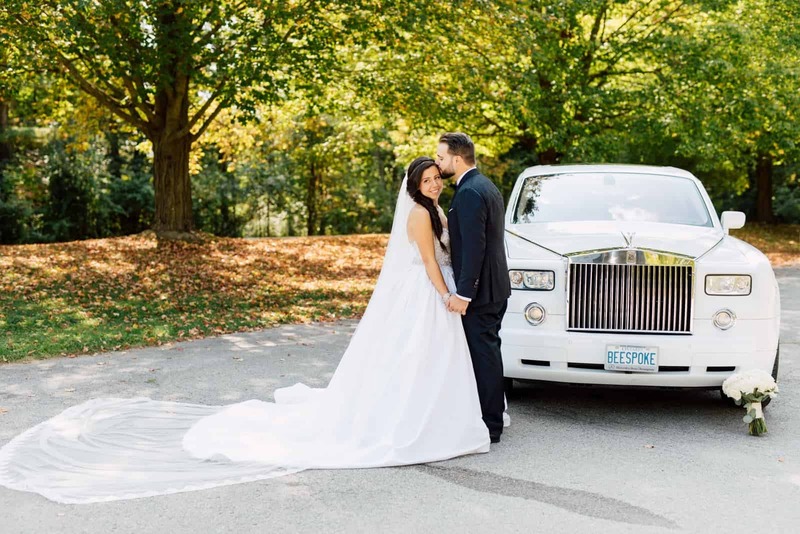 The wedding plans… the elaborate and extravagant wedding plans came together incredibly. 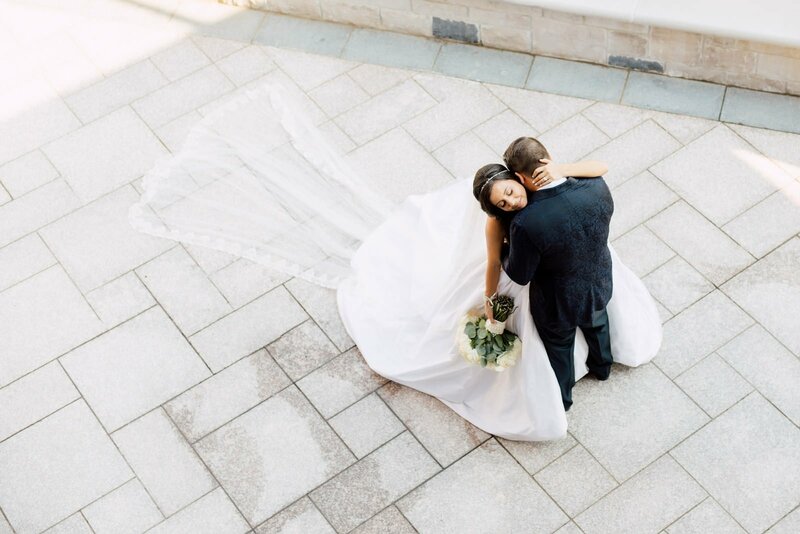 And Amanda’s dress truly reflected the elegant and lavish wedding she always wanted. 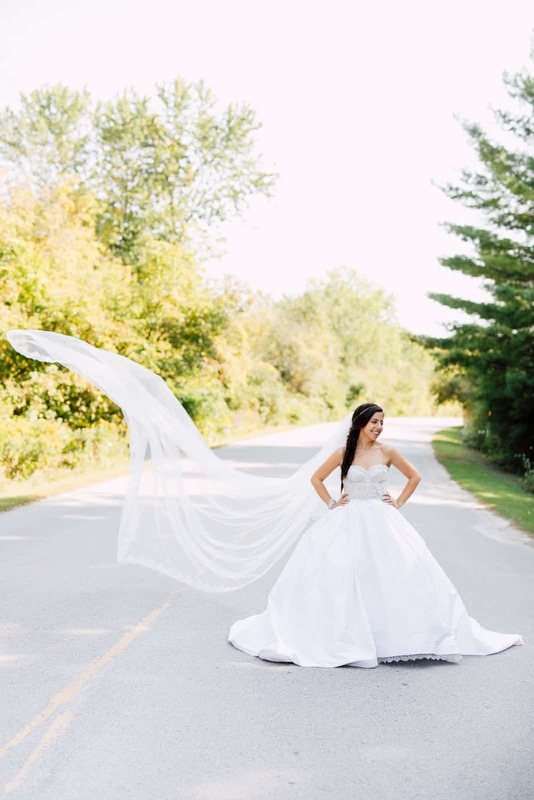 Her dress had a train as long as the length of the boutique would allow, and a veil that measures the entirety of Eglinton Avenue… twice. A bodice that perfectly fits her imperfect curves, two cups that make her bust even more balanced than her wedding-crazed mind, and a zipper that’s so impeccably placed within the bodice’s beading so that the only curves and twists Amanda felt on September 23, 2017 were the ones in her stomach as she floated down the isle toward her husband, Stefano. 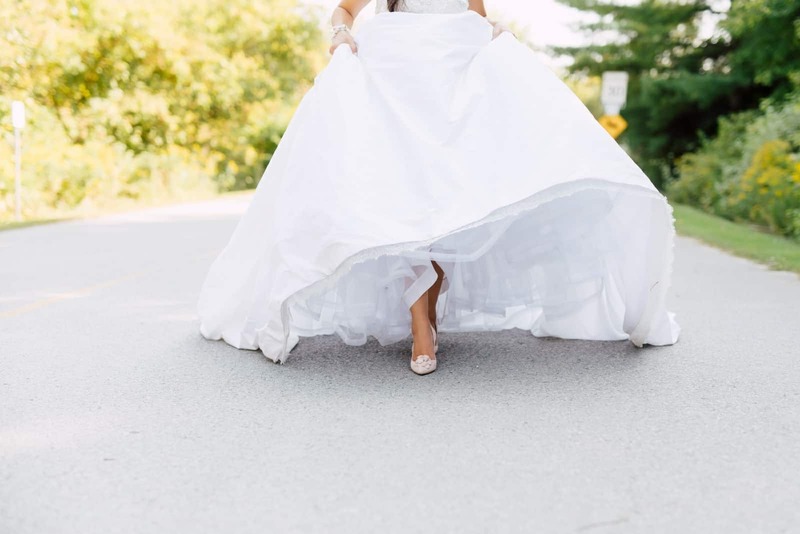 She was the most perfectly imperfect bride with not a seam unaligned to her unique curves, a pin out of place, or a crooked zipper to be spotted. Amanda was transformed into a uniquely crafted cake topper, ready to be placed at the highest tier to be admired by all, thanks to Valencienne and the Fairy Godmothers for making my sister’s wedding dream a reality!